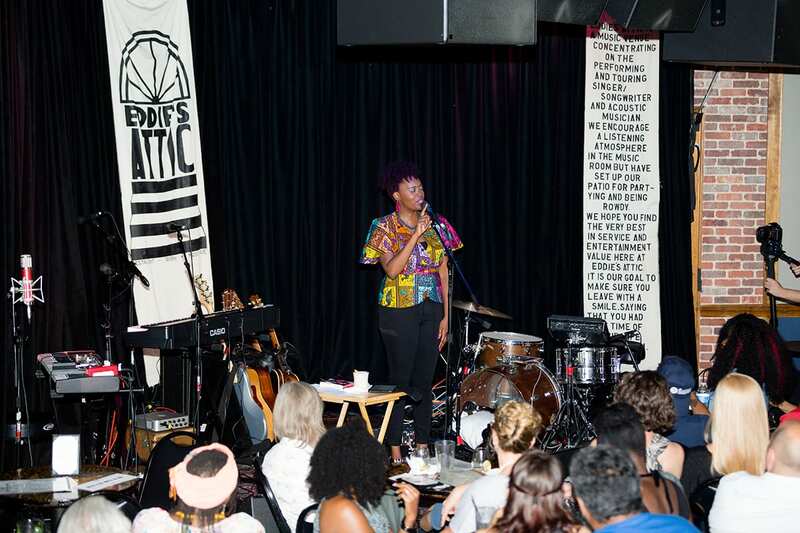 In honor of National Poetry Month, ARTS ATL is publishing three stories that offer different perspectives on the state of the city’s spoken word community, including a personal essay by poet Amena Brown on finding her poetic voice, an oral history of spoken word institution, Apache Cafe and a long-form feature on how gentrification impacts literary communities. Lean in and enjoy Amena’s essay below. Twenty years ago, I stood in the back of MoorEpics, a poetry venue on Mitchell Street co-owned by poets Jessica Care Moore and Aqiyl, watching a processional of grown folks make a bare space feel like home. Incense and weed smoke held court in a room abuzz with conversation. A sophomore at Spelman College, I’d convinced two friends to come with me. This moment felt like something out of a movie for me, partly because it was. Two years before, in 1997, Theodore Witcher directed Love Jones, a complicated love story about a spoken word poet, Darius, and a photographer, Nina. In the film’s opening scene, Darius performs a poem at a jazz and poetry club in Chicago called The Sanctuary. Backed by an upright bass and a saxophone, Darius recites his piece to a crowd of beautiful black people who are smoking cigars and drinking wine out of snifters. I wanted to fall in love like Nina and Darius. I wanted to write my own words and do what I watched Darius do onstage. I didn’t know until I moved to Atlanta to attend college what I wanted to do was called spoken word. 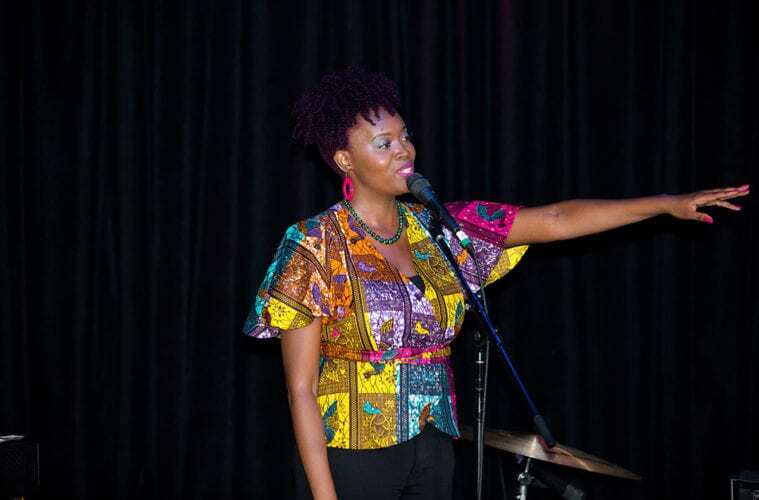 Hosted by spoken word poet Cola Rum, MoorEpics’ open mic was beautiful, truthful, vulgar and sometimes offensive. There were poets whose work offended the audience so badly that they would stand outside or by the door until the poem was finished. There was no editing, no censoring, and no topic was off limits. That night, the stage was lined with vintage light bulbs, all of which were turned off when poet Q-Swan spit his piece. He took over the stage with equal wingspan to a dancer, wore a Sikh dastaar and rhymed eloquent and staccato about politics and rush hour traffic on Memorial Drive. Another poet, Amir Sulaiman, donned in all black, spoke about Africa, love and collective responsibility with the crisp cadence of a skilled emcee and the fervor of a prophet and preacher. Amir went on shortly before me, and I begged Cola to take me off the list. He smiled and said no. Then it was my turn, along with my two friends. My mom, folks from church, friends from high school, students and staff on campus had all told me my poems were amazing. After watching several poets perform ahead of me, I wasn’t so sure. I took my journal and read my poem to lackluster applause. Maybe listening to my mom’s compliments wasn’t the best move for me. After the three of us finished reading our poems, Cola returned to stage and looked at us. “Y’all in college, right?” he said. We nodded, as we realized our ruse of pretending we were grown folks had been much more thinly veiled than we knew. A trail of heat stung my cheeks, but I refused to let my embarrassment show. It was and still is against the code of ethics in Atlanta’s poetry scene to perform your poem and leave immediately after, no matter how well it did or didn’t do. So I held my journal, my pride and my embarrassment and stayed for the rest of the night. The next poet on the mic held wrinkled paper in her hand, her sandy curls pinned up, tears waiting in her eyes. She had a new piece to share, detailing the wreckage of her last relationship. She read and cried, the paper on which her poem was written shaking with every stanza. When she finished, everyone applauded. Most people in the room knew the kind of heartbreak she wrote about — the kind that becomes each person’s burning sands as they cross over into being grown — battle scars I wouldn’t know myself until many years later. Cola came up and stood next to her. This was before Def Poetry Jam launched the careers of so many of Atlanta’s poets, before Yin Yang Cafe became Apache Cafe, before many of us knew it was possible to have a career as a spoken word poet. We gathered in coffee houses, clubs, bookstores and hole-in-the-wall spots, because whether audience member or poet, we wanted to be heard, seen and understood. We were angry, angsty, heartbroken, dissatisfied with the political system, working jobs we hated, discovering who we loved and what we loved to do. We were outcasts — ostracized and marginalized — but spoken word poetry meant our voices and lives mattered and made a difference. We built a community that was bigger than a few minutes in front of a microphone. After that night, I kept returning to any poetry stages I could find, and there have been many. Onstage at Apache Cafe, Java Monkey Speaks, Mocha Match, Patty Hut, Irish Bred, Live Poets Society, Art Amok, Urban Grind and more than I can remember, I read. I memorized. I stumbled. I forgot whole sections of my poem and had no way to prove myself except waiting for the next open mic so I could do better. I got better. I learned to be bold, to find my voice, to be myself. I got good enough for spoken word to take me away from Atlanta: on bus tours with bands, at arenas, festivals, colleges, conferences, opening doors and opportunities for me I could never have imagined. No matter where my career takes me, I always return to Atlanta’s poetry scene to sharpen my craft, to remind me of my roots as an artist, to be a part of the community. 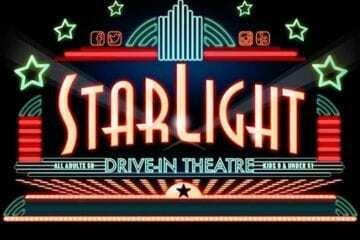 Many of the venues I named here no longer exist — gone due to fire, financial hardship or gentrification. 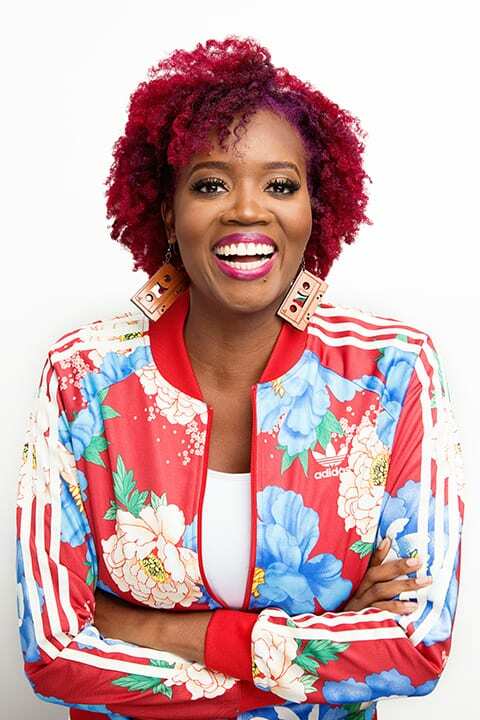 Some of the poets from our Atlanta scene have moved on to have prolific careers, such as Tony Award-winner Georgia ME, Emmy nominee Jon Goode, Black WOMEN Rock! founder Jessica Care Moore and many others. No matter what the venue, the poets will meet. We make our own stages. To some, spoken word is new, modern, recent, but spoken word was born out of a long tradition of poets and prophets who for centuries have been the truth tellers, archivists, activists, entertainers and educators. The poets have always reminded us who we are, where we come from, what we can be. They remind us of what is broken, of where we are hurting and why we must fight against injustice. The crowd still gathers in the audience to sit shoulder-to-shoulder to be challenged, enlightened, to see a reflection of their own stories. Every week in Atlanta, someone stands in front of a crowd with shaky hands, reading their poem at an open mic for the first time. Even after all these years, I still take a new poem to some familiar Atlanta stage and learn to bare my soul again. Amena Brown is a poet, podcaster, event host and author. She has released five spoken word albums and two nonfiction books, including her latest book How to Fix a Broken Record. A graduate of Spelman College, Amena is also the host of HER with Amena Brown podcast, which centers the stories of women of color on each season’s theme.